See below for information on how to request a Certificate of Participation for World Spay Day. World Spay Day is a great opportunity to not only make a difference, but also educate pet owners and caretakers on the importance and benefits of sterilization. It is an event that joins everyone around the world in one single effort to help control pet overpopulation and decrease the number of homeless and euthanized animals in our areas. It is amazing to be part of something so great, something celebrated worldwide. My practice has participated since 2007 and we plan to continue for as long as we are in existence. I am passionate about World Spay Day because it's an opportunity to remind everyone, including veterinarians themselves, why spaying and neutering is so important. It's the only way to combat the number one cause of death of companion animals—euthanasia due to overpopulation. Participating in World Spay Day makes a real difference in every community. I challenge every veterinarian to make a difference in your community by participating! Participating in World Spay Day has been a fun way to draw our community's attention to the serious issue of pet overpopulation. Working together to hold an event celebrating what we in the veterinary community consider a routine procedure has been very rewarding. The Humane Society Veterinary Medical Association is encouraging veterinary professionals from around the world to participate in World Spay Day to help increase awareness of the need for spay/neuter to save animal lives. Launched in 1995, World Spay Day is an annual campaign that aims to encourage people to save animal lives by spaying and neutering companion animals and feral cats. World Spay Day itself is celebrated annually on the fourth Tuesday in February (February 26 in 2019), but your event, no matter how big or small, can take place anytime throughout the month of February, which is recognized as Spay/Neuter Awareness Month. HSVMA annually sponsors World Spay Day events involving veterinary students, to help fulfill the World Spay Day mission as well as to provide hands-on learning opportunities for students. In 2019, HSVMA sponsored events at Auburn University, Cornell University and University of Wisconsin. Read more about the 2019 sponsored clinics here and see things from a veterinary student's perspective by reading this article written by University of Wisconsin student, Kelly Dulli. There are a variety of ways that veterinary professionals can be involved with and support World Spay Day. Some veterinary professionals focus on educating clients about spay and neuter throughout the month. Others may incorporate discounted spay and neuter into their practice that month. Coordinating a weekend World Spay Day clinic at your practice or volunteering your time at a local animal shelter’s event are other options. Any level of engagement is appropriate and will be appreciated by your clients and the community. 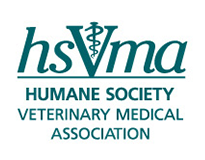 HSVMA offers a tip sheet with suggestions on veterinary involvement in World Spay Day. You can also visit the World Spay Day website for more ideas on how to participate and download the World Spay Day planning guide. If you are outside the United States, visit Humane Society International for more suggestions and resources (ver la página en español). World Spay Day participants are encouraged to join HSVMA (if you are not already a member). HSVMA offers a variety of resources related to spay/neuter to our members. Those include free access to webinars on several spay/neuter topics. There are also several educational videos and handouts on spay/neuter on the HSVMA resources webpage. Many thanks to our HSVMA members, veterinary colleagues and friends in the U.S. and abroad for your interest in, support of, and participation in World Spay Day!